Police offices, lawyers, and doctors are probably used to seeing their professions depicted on screen (even if they might find much of it cringe-worthy). But for art geeks, it’s a bit rare to see our line of work in the movies—and even more unusual to see art historians, curators and conservators playing the role of action hero. We asked curators, conservators, and editors at the Getty to tell us some of their favorite examples of art on the big screen—historical inaccuracies or no. The result is a mixed bag of classic films, independents, Hollywood capers, romances, and several artist biopics, plus a couple of movies that aren’t strictly about art but that have great “art history movie moments”—think Steve Martin roller-skating through LACMA in L.A. Story. 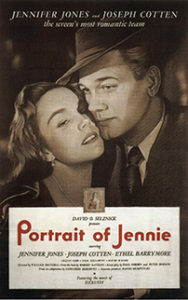 A struggling artist (played by Joseph Cotten) becomes inspired by a peculiar girl he meets in Central Park named Jennie (played by Jennifer Jones). The Cloisters make an appearance as the convent where Jennie goes to school. 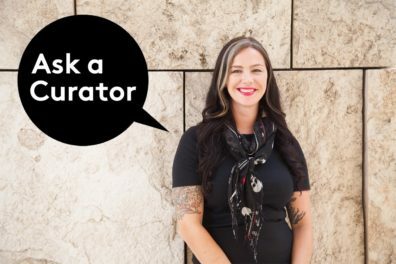 Art fact: In a case of life imitating art, Jennifer Jones married Norton Simon in 1971, and in 1989, she became the chair of the board of the Norton Simon Museum. 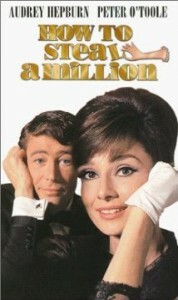 Starring Audrey Hepburn and Peter O’Toole with a colorful supporting cast directed by William Wyler, this stylish caper set in Paris is an absolute romp, combining art, science, crime, fashion, forgery, the obsession of collectors, satire, and slapstick. Something for everyone! Art fact: The fictitious (but entirely plausible-sounding) “Musé Kléber-Lafayette” in the movie is actually the Musée Jacquemart-André. This thriller centers on a murder mystery at a mythical medieval monastery with one of the world’s greatest collections of manuscripts. 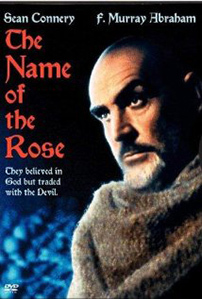 In the film’s most exciting scene, Sean Connery, playing a scientific-minded monk who rejects the seemingly-supernatural events in favor of deductive reasoning, roams at will through the monastery’s hidden and magnificent library, leafing through manuscript after manuscript with beautiful illuminations glimmering in the candlelight. The movie perfectly captures the meaning of manuscripts to medieval culture. Peter Greenaway’s movie is less an art movie than it is a film whose entire aesthetic is determined by still-life painting. It’s a very baroque sequence of tableaux that unfurl and come to pass. This is appropriate given its wrenching drama, and given that Greenaway has subsequently gone on to make animation-projection projects about The Last Supper and other paintings, as well as a movie about Rembrandt. Art fact: The Banquet of the Officers of the St. George Militia of Haarlem (1616) by Frans Hals, of the Frans Hals Museum in Haarlem, Netherlands, is featured in the film and is a good example of the rich aesthetic that inspired the movie’s look. This quasi-documentary follows Spanish realist painter Antonio López García through a summer of closely observing and painting a small quince tree in his Madrid backyard. García quietly labors against entropy as he seeks to retain the tree in the position he wants to paint it; we see him tying up branches with string to retain their original arc. But the shadows keep moving, friends cycle through the house, the fruit ripens toward decay. Throughout, Garcia is steadfast and focused on his project, explaining to a friend that “the best part is being close to the tree.” This meditation on art, nature, time, and mortality is one of the most moving and elegiac portrayals of art-making ever captured on screen. 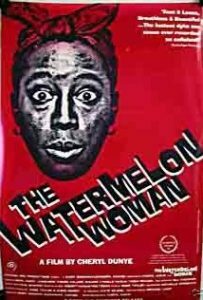 Cheryl Dunye’s The Watermelon Woman is about a woman who becomes fascinated by an early black actress who played stereotypical roles. All of the “historical/archival” photographs that represent the actress were in fact made by the artist Zoe Leonard, and shown by her as a related but separate art project—kind of the opposite of The Monuments Men. Instead of a movie showing us the history of art, here’s an artist making an intervention into history and the archive for a movie. 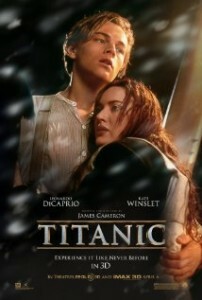 James Cameron’s epic contains an unforgettable art moment, when Rose (Kate Winslet’s character) unpacks crates of modern art in her stateroom, including a Picasso. Art fact: One of the paintings Rose unpacks is Picasso’s famous Les Demoiselles d’Avignon (1907) by Pablo Picasso…which is perfectly dry and currently on view at the Museum of Modern Art in New York. 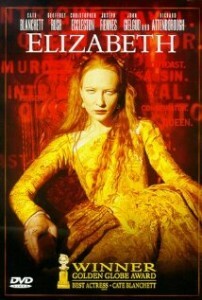 The incomparable Cate Blanchett plays Elizabeth I of England. A great movie, it includes a small but wonderful “art history moment”: Elizabeth talking to the famous Holbein portrait of her father, Henry VIII. Art fact: Hans Holbein’s Portrait of Henry VIII, painted in 1536 or 1537, was destroyed in a fire in 1698, but copies and preparatory works exist, including a well-known cartoon at the National Gallery, London. 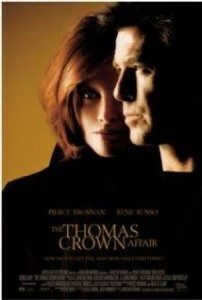 This recent remake of the 1968 classic starring Pierce Brosnan and Rene Russo is great fun, although of course you couldn’t (spoiler alert!) actually “hide” an oil painting underneath a watercolor…the texture would give it away. Art fact: The fake-hidden painting is Claude Monet’s San Giorgio Maggiore by Twilight (1908), which is safely in the collection of the National Museum Cardiff. René Magritte’s The Son of Man (1964) also figures prominently in the film. Another Monet, Wheatstacks, Snow Effect, Morning (1891), also makes an appearance in the film, though we see it every day here at the Getty. A great depiction of art in film is in Amélie, directed by Jean-Pierre Jeunet. 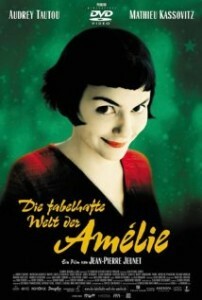 In the film, Amélie’s neighbor is a recluse who is rumored to have incredibly brittle bones that leave him homebound. His primary activity is painting reproductions of Auguste Renoir’s Luncheon of the Boating Party (1881). 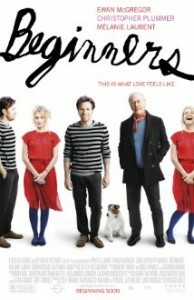 The film reinforces how images of pleasure and leisure can hold a hidden power, and a hidden sadness. There’s a great scene in Beginners when the young protagonist, Oliver Fields, and his mom are at a museum exhibition opening. The dad is the museum director, but the mom is goofing around with the art. Art fact: Pretending to be a sculpture is perfectly okay, even if you’re a grown-up. This movie is actually full of art by “real” contemporary artists (David Salle, Julian Schnabel, Andy Warhol, Pablo Picasso). Darryl Hannah plays a performance artist whose work is loosely based on Laurie Anderson, but her performance scene in the movie is perhaps the worst parody of postmodernism ever to appear on the big screen. Art fact: The producers actually enlisted the help of art dealer Arnold B. Glmicher (of Pace Gallery) to give the film some authenticity. This unlikely “art movie” includes a reference to what is clearly intended to be the Getty Center. The whole plot involving Bean delivering Whistler’s Mother to Los Angeles, and then subsequently erasing the face only to have to then “conserve” it, is actually quite involved. Art fact: Arrangement in Grey and Black No. 1, 1871 (aka Whistler’s Mother) by James McNeill Whistler is part of the collection of the Musée d’Orsay in Paris and remains unharmed. Yes it’s a TV show, but we must add the Star Trek: Voyager episodes in which Captain Janeway becomes BFFs with a holodeck replica of Leonardo da Vinci. 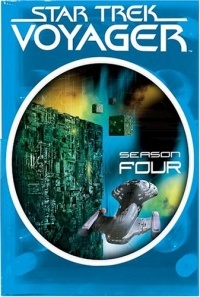 In the campiest episode, Voyager’s computer processor, along with the digital Leonardo, is pirated by space aliens. On the alien world, Leonardo (naturally…?) believes he is in America. Also priceless: Janeway confronting Leonardo about his tendency to leave works unfinished. 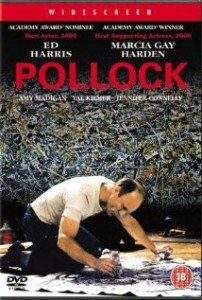 Hollywood likes to portray artists as crazy murderers. They’re so unhinged! Pick any long-running police procedural and you’ll find at least one episode where a frustrated artist funnels his or her disappointment, creativity, and (often) obsessive tendencies into seedy activities. 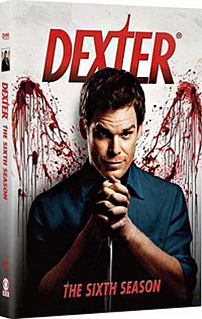 A recent example (with a twist) is book conservator and former art history student Travis Marshall and his mentor Professor Gellar, aka the Doomsday Killer(s) of Dexter, Season 6. Marshall stages all his victims in elaborate tableaux inspired by Gellar’s Revelations-themed art, and the season is littered with shots of antique books, paintings, and Gellar talking calmly about the details of a murder while wiping off a paintbrush. 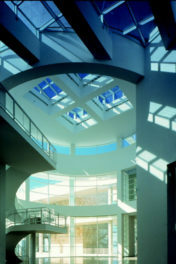 We also get excited when the Getty gets a starring role. Check out last year’s Star Trek: Into the Darkness, which uses our futuristic Getty Center campus as the Starfleet headquarters or the current Oscar contender American Hustle, in which several Getty Museum paintings make a cameo appearance—don’t worry, the images are from our Open Content Program and all of the paintings are safe on the gallery walls! 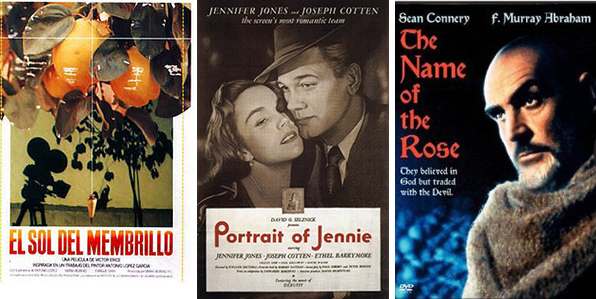 Weigh in: What best (or worst) art movie would you add to the list? 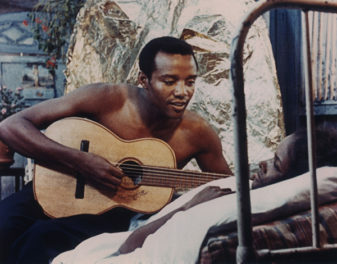 Still of the Night (1982). 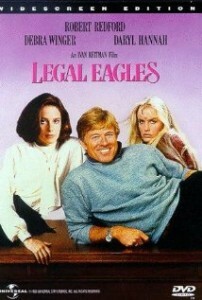 Murder mystery starring Meryl Streep plays Brooke who works at an auction house meant to be Christies. Roy Scheider is a psychiatrist whose patient has been murdered. Could Brooke be the psychopathic killer?? Jessica Tandy plays the shrink’s mother (she’s a psychiatrist too). I would add Girl with the Pearl Earring. What a beautiful movie that captures the spirit of Vermeer’s paintings. While not an art movie, there’s a great scene in Ted Demme’s “The Ref” (1994) where Gus (Denis Leary – an art lover in real life) is offered a Chagall by Caroline (Judy Davis). Gus is stunned and proceeds to admonish Caroline for having something so beautiful on her wall and not being able to put aside her own petty issues to appreciate it. The scene has always stuck with me. Ferris Bueller! Midnight in Paris. YEARS ago, I watched a movie about a curator obviously obfuscating over Robert Ryman white paintings, then she interviews a young replacement who she takes to lunch, and orders her octopus. I can’t for the life of me remember anymore but it was the most accurate, and convoluted explanation of minimalism (and over-all art speak) I’ve EVER heard. Trying to locate the movie……….Can you help? How could you leave out A Bucket of Blood by Roger Corman? Of course, I’m not sure if ABoB would fall under the best or the worst, but that’s part of its campy charm. In this 1959 B-movie, an accidental and gruesome discovery by frustrated, untalented artist leads to murder. Hilarious send-up of beatnik culture. Good one! 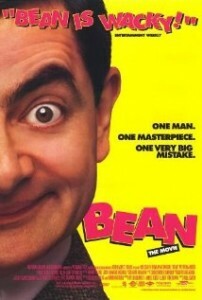 We had a similar discussion about Mr. Bean: best or worst? Or both?! Thanks for reading and commenting! So glad you saw it. 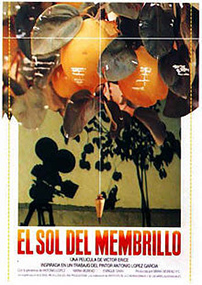 Summer Hours (Assayas) for the closing up of the family’s house and putting “value” on objects throughout, In the House (Ozon) for the “bad art” gallery, I’ve Heard the Mermaids Singing (Rozema) for the splatter paint scene and High Art (Cholodenko) for it all. Renior It brings the women to life. Also, Crumb, which demonstrates the boy becoming the artist. “The Picture of Dorian Gray” (1943), starring Ivan Albright’s lurid painting of morally dissolute Mr. Gray (Hurd Hatfield), a canvas now in the Art Institute of Chicago. “Laura” (1944), story of a detective in love with the woman in a portrait painting, in which Clifton Webb’s imperious critic Waldo Lydecker is unveiled as a murderer — of course, because every knows that critics kill beauty. “Art School Confidential” – not easily describable, except to say it’s a Terry Zwigoff movie with John Malkovich as a pompous Art Professor (he’s not the main character). It’s about art students, fame and being a “tortured artist”.